Don’t lie. We’ve all dreamt of having a fully-stocked White Russian bar in our house. But it’s time to let that dream go, because we have something better. 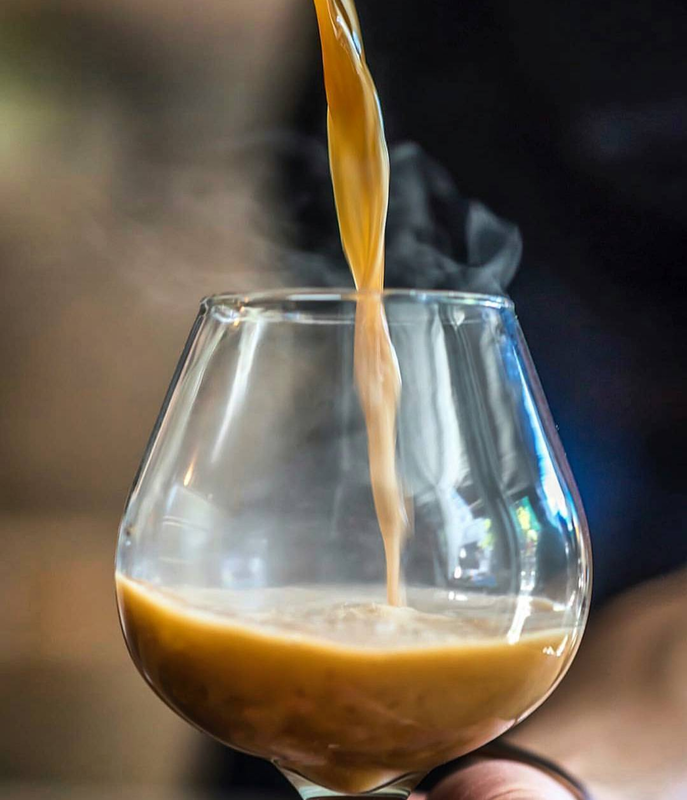 While fans of The Big Lebowski enjoy their Kahlua and Cream, specialty baristas and bartenders have been busy creating the next wave of coffee cocktails, and they’re better than The Dude could have ever imagined. 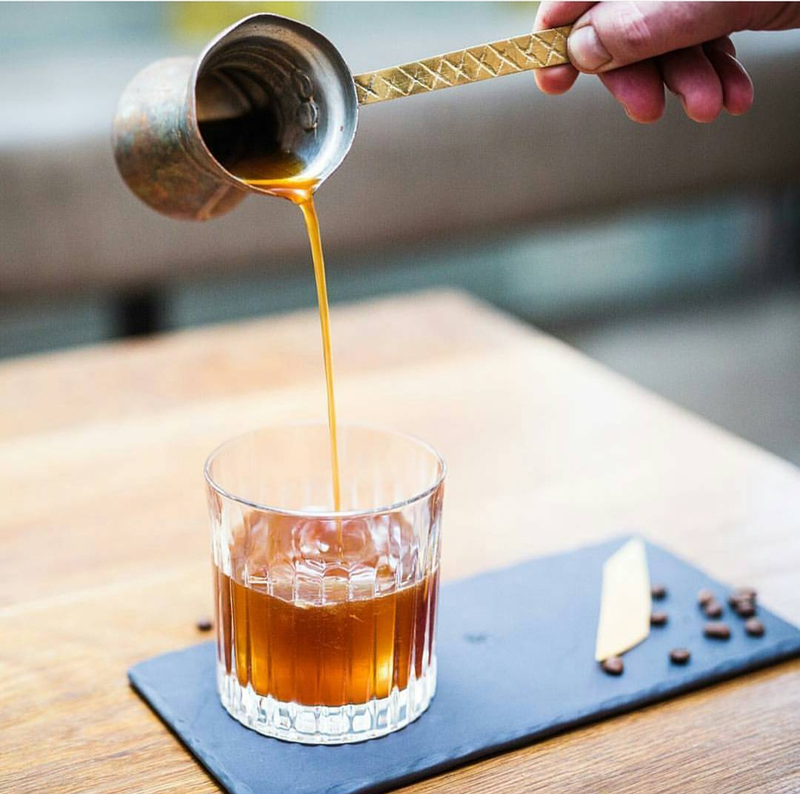 As the craft cocktails become increasingly popular, coffee has seen new life as an artisan ingredient, and it’s used in every form possible: as cold brew, hot brew, espresso, coffee syrup, coffee tincture, coffee bitters, and the like. 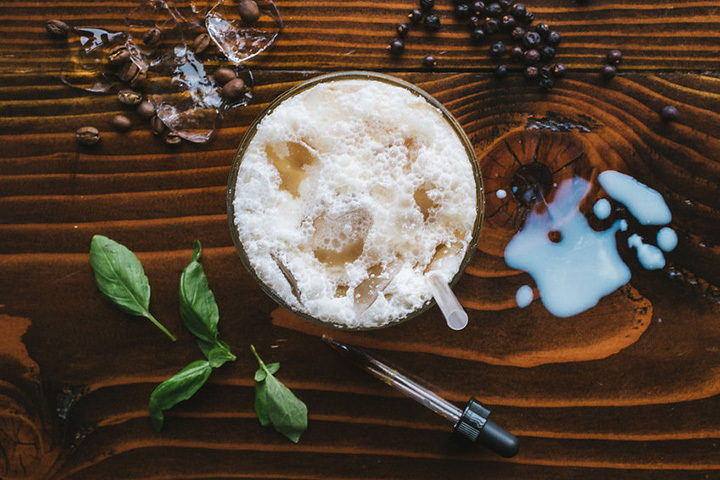 And similarly, specialty coffee shops are turning to cocktails—both alcoholic and non— to please customers and enhance the natural flavors of the coffee bean. The result is a cornucopia of coffee drinks spanning every major spirit category and then some. 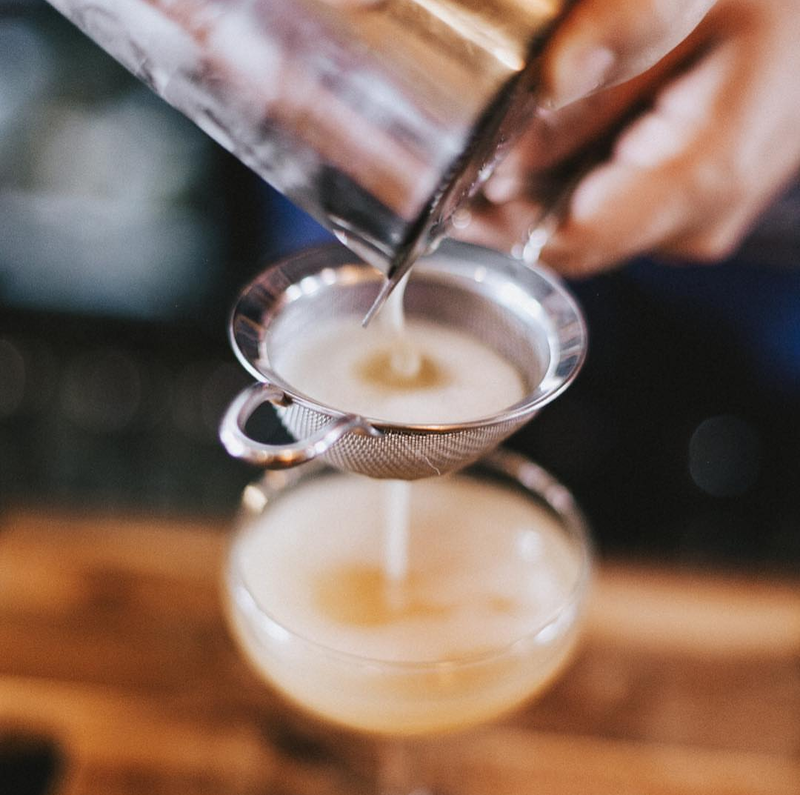 Baristas, bartenders, and enthusiasts have revived old classics like the Espresso Martini and created entirely new recipes like The Morocoy. 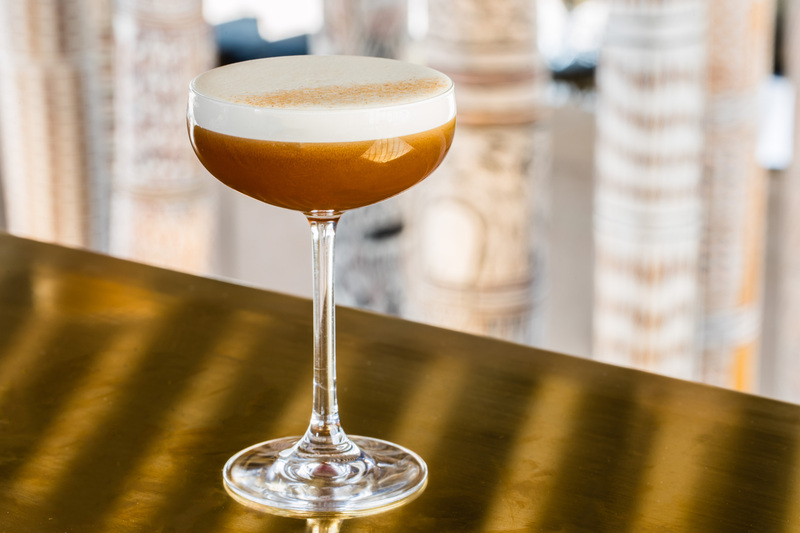 We spent the last 6 months collecting the best coffee cocktail recipes in the world, and now we are sharing them here. 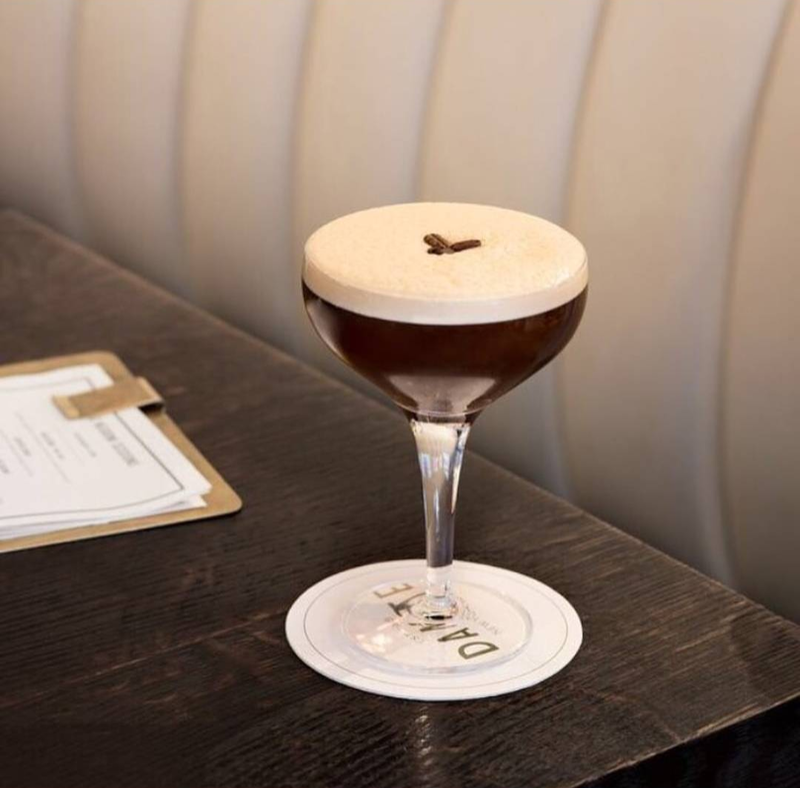 As a coffee professional, I’ve been interested in coffee cocktails for over 2 years. 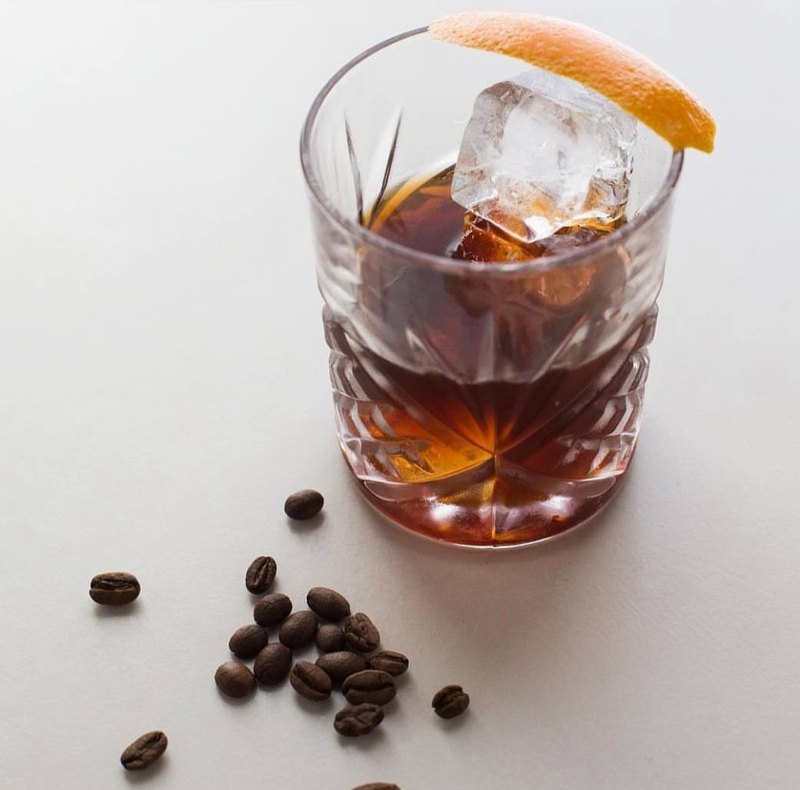 I was hooked from the first time someone suggested I make them an Espresso Old Fashioned. 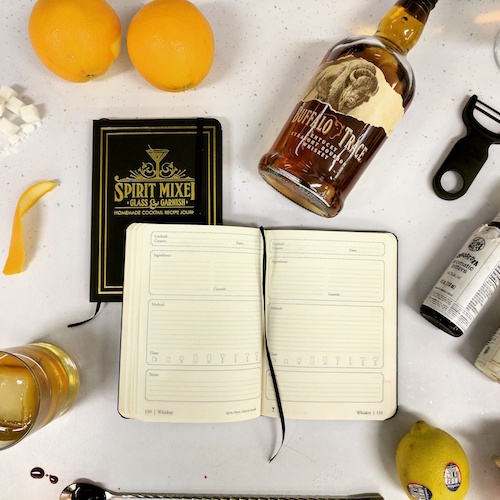 I started the Coffee Cocktails Instagram account as a way to learn new recipes, but I never imagined the how many amazing drink makers I would have a chance to meet. The recipes on this list were created by those people, I just compiled them. The list is extensive but nowhere near complete. 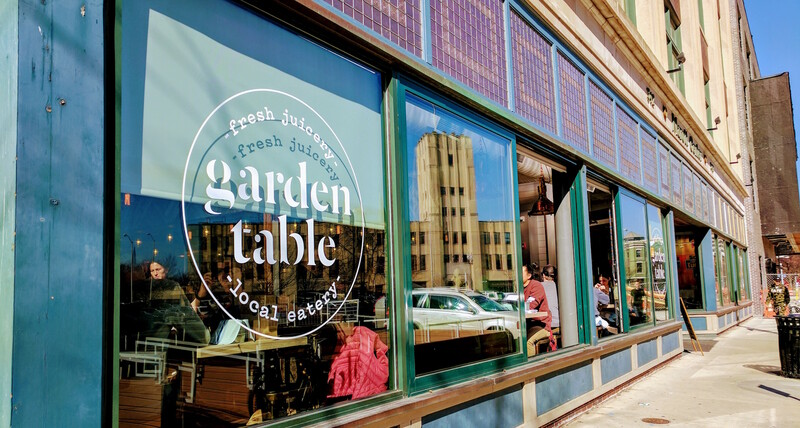 It is meant to be a living document and continuously updated with new drinks. 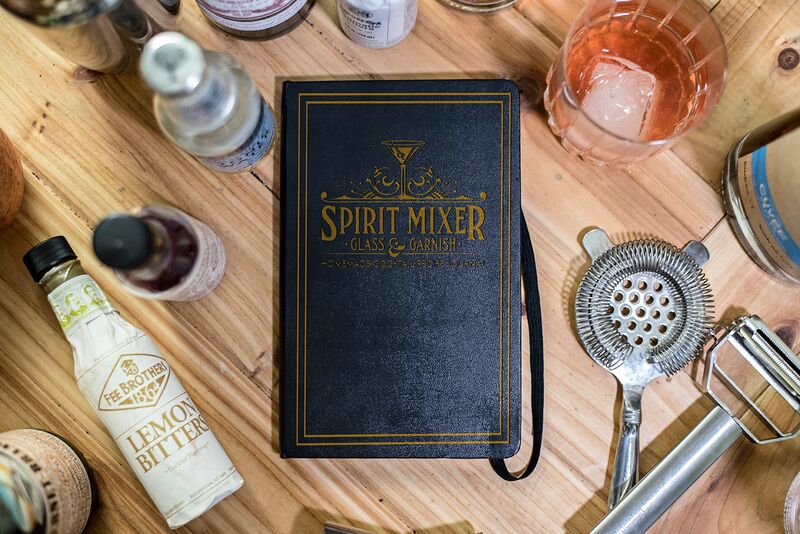 In all, there are over 47 coffee cocktails in 7 different spirit categories. 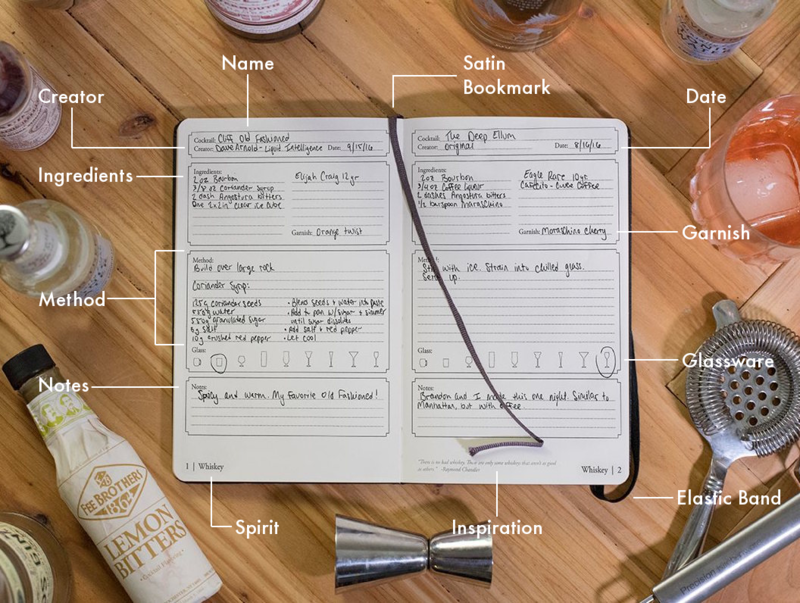 We organized the recipes by spirit so you can easily navigate the list. The Crimboli uses coffee in a unique way- infused in Campari. Ryan Harris from the Depot shared his infusion recipe with us below. Top with Vanilla Cream and garnish with orange swath. You want to create a very condensed version of cold brew coffee, so choose your favorite roast ( I choose a dark Ethiopia Bedathu). Use one cup coffee to eight cups water. Let steep for 18-24 hours. After this we do a reduction process to create an almost syrupy consistency. Simmer for around 45 min a low to medium heat. Add 2 oz. of concentrate to one full bottle of Campari. Use the two ounces you take from the bottle to make yourself a cocktail! 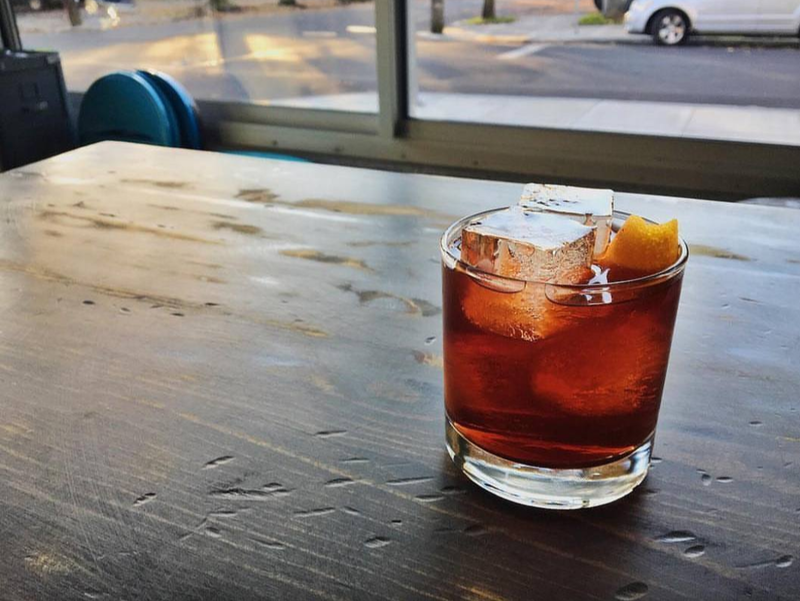 Jon Lewis from Rue in Portland takes the classic Negroni template and spices it up with three different types of bitters and cold brew from Water Avenue Coffee. 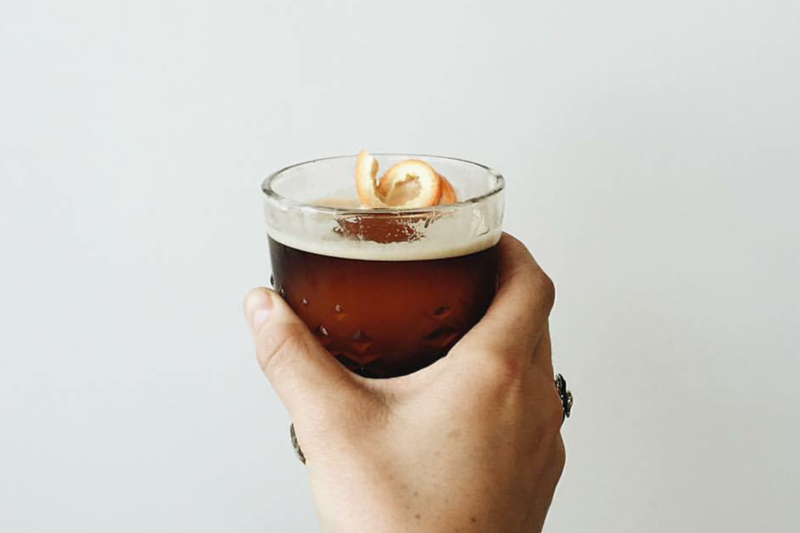 Float Cold Brew Coffee on top, garnish with an orange twist. Coombs is the bar manager of Sticks and Stones, a new Ramen and Cocktail concept in Saskatoon, Saskatchewan, Canada. 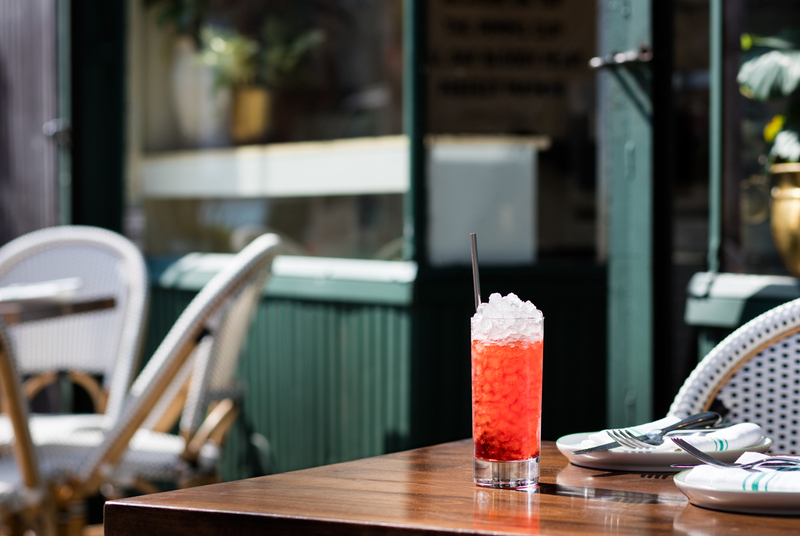 This drink features two simple DIY ingredients, Cacao-infused Campari and Coffee Simple Syrup. No garnish, because when it comes to coffee, the only thing that matters is what's inside the cup. Add 3 tablespoons of cacao nibs to one bottle of Campari. 60% white sugar, 40% strong brewed good coffee. The better the coffee, the better the syrup. Unlimited Coffee Bar in Tokyo has a HUGE coffee cocktail program, including a "Build Your Own Espresso Martini" option where they will customize the drink anyway you'd like. "Negronis are delicious. Coffee is delicious. 2+2 = 5 with this one." Here is a soon-to-be Brunch classic. 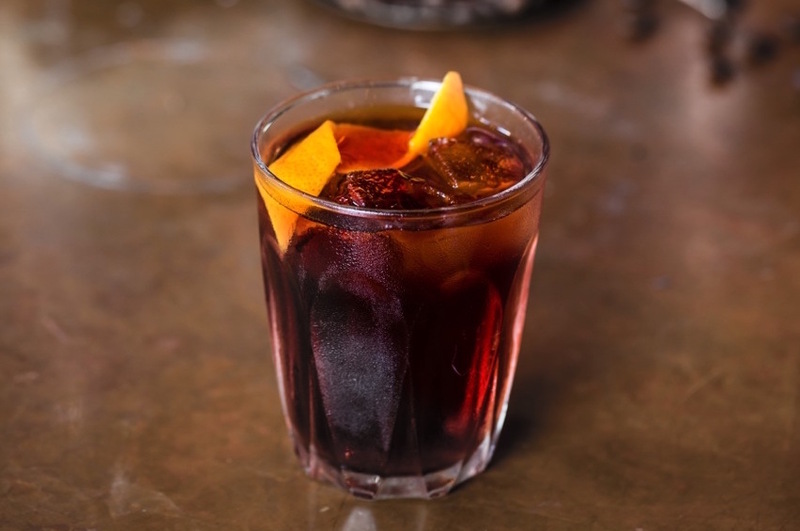 The Caffeinated Cuban is light, fruity, bubbly, and of course, contains delicious coffee liqueur. Shake and double strain into coupe. Smell plays a huge role in the flavor of a cocktail. Momma's Breakfast can be described as a "smoked" cocktail, meaning the glass is treated with clove smoke before pouring in the cocktail. With a lighter or blowtorch on a cast-iron plate, carefully burn a large pinch of cloves until they’re smoking heavily. Quickly flip a chilled snifter onto the smoking cloves. While the glass fills with smoke, in a mixing tin, combine all the ingredients and fill with ice. Shake hard and double-strain into the smoking glass. 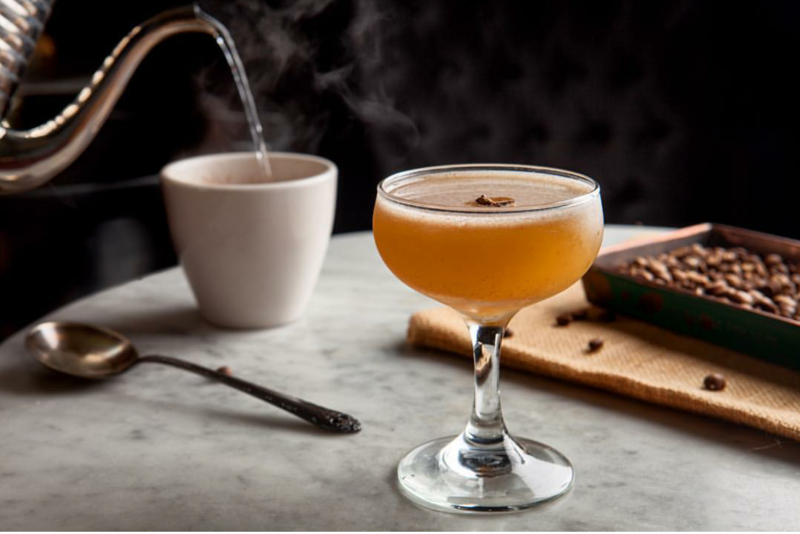 This coffee cocktail from Thou Mayest features house-made clove syrup and coffee liqueur made with Thou Mayest-roasted coffee beans. Sean created this cocktail for the 2017 Bacardi Legacy Competition. 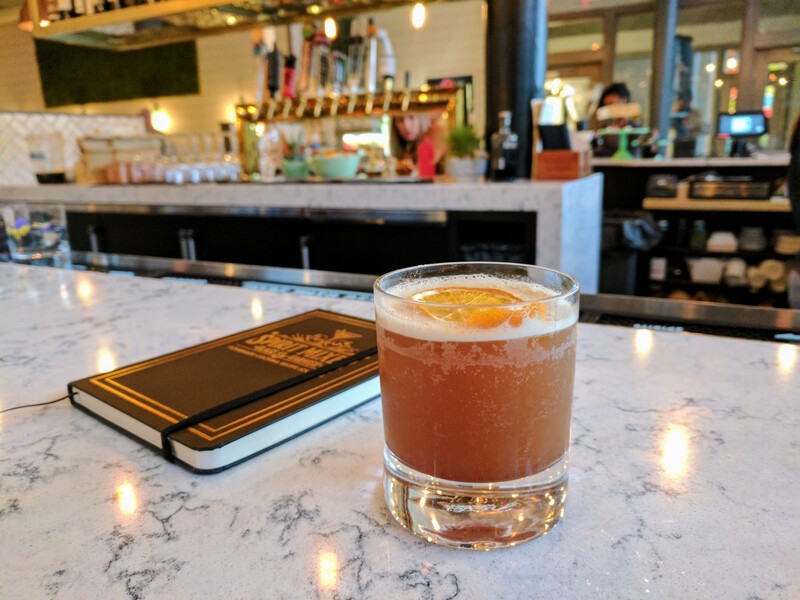 Thou Mayest is a cocktail bar/coffee shop in Kansas City. 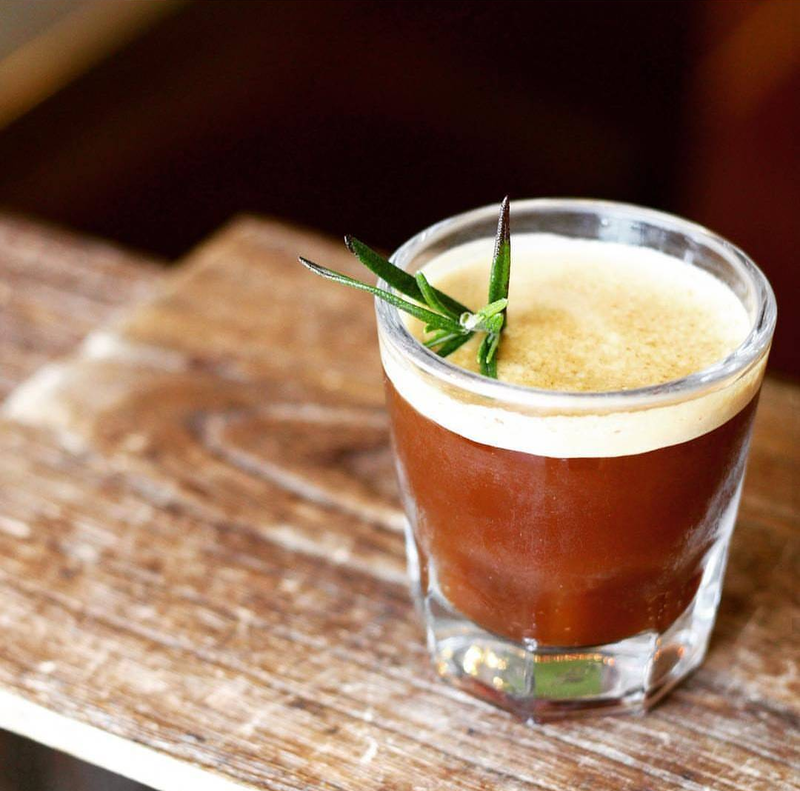 This is one of many coffee cocktails that features J. Rieger Co's Caffe Amaro, a coffee liqueur that features Thou Mayest-roasted beans. Add ingredients to shaker with ice. Shake well. Kaufman created this drink for Byblo's latest cocktail menu. The big, bold flavors balance each other perfectly. Bonfire Nights was created for the 2016 Berlin Coffee Festival. The flavors are sweet and deeply reassuring. Don't forget to burn the tips of the rosemary garnish to complete the 'bonfire" theme. 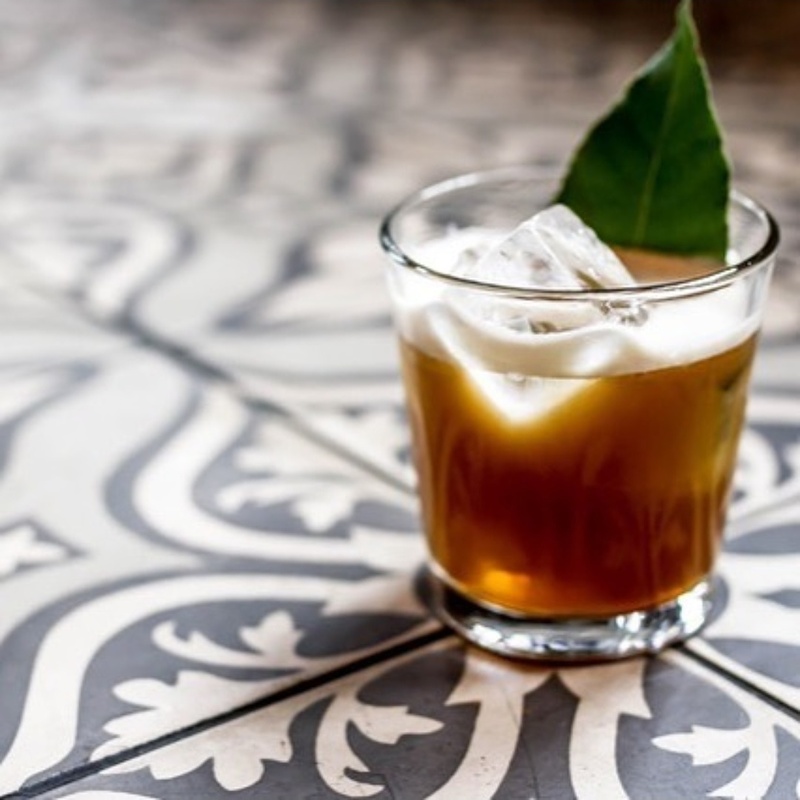 This coffee cocktail is styled after the classic tiki drink, The Jungle Bird, and uses chilled pour over instead of cold brew coffee. Top it of with a sprig of chocolate mint and you're good to go. We don't know what Barista's FIRST choice is, but this is Number 1 in our book. This homemade concoction from The Garden Table is juicy, sweet, and reminds us of orange-flavored coffee cake. The Cloudy Amber Daiquiri is so simple, but oh so good. 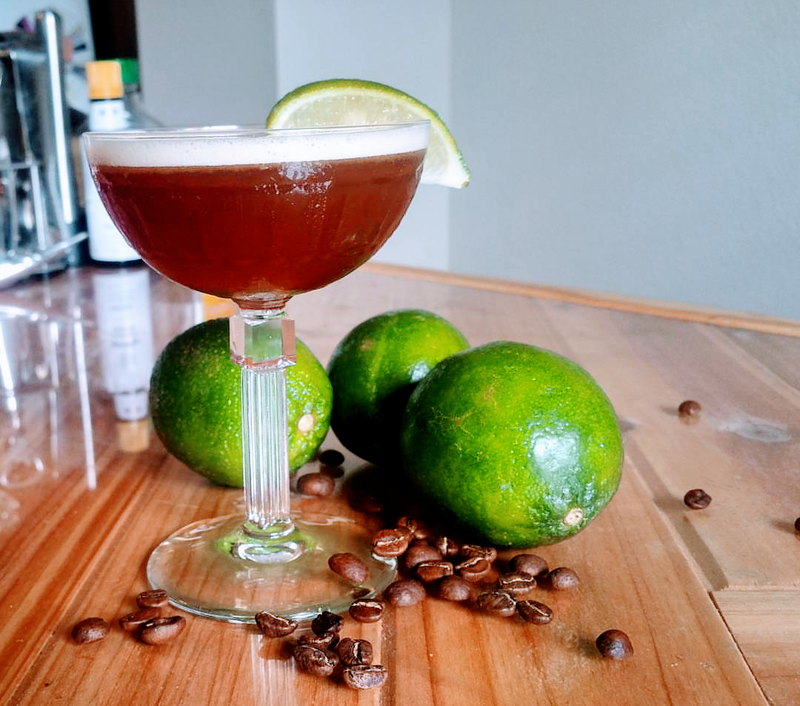 It is tart like a traditional daiquiri and the cold brew adds smokey, chocolatey, or fruity flavors depending on the coffee you use. 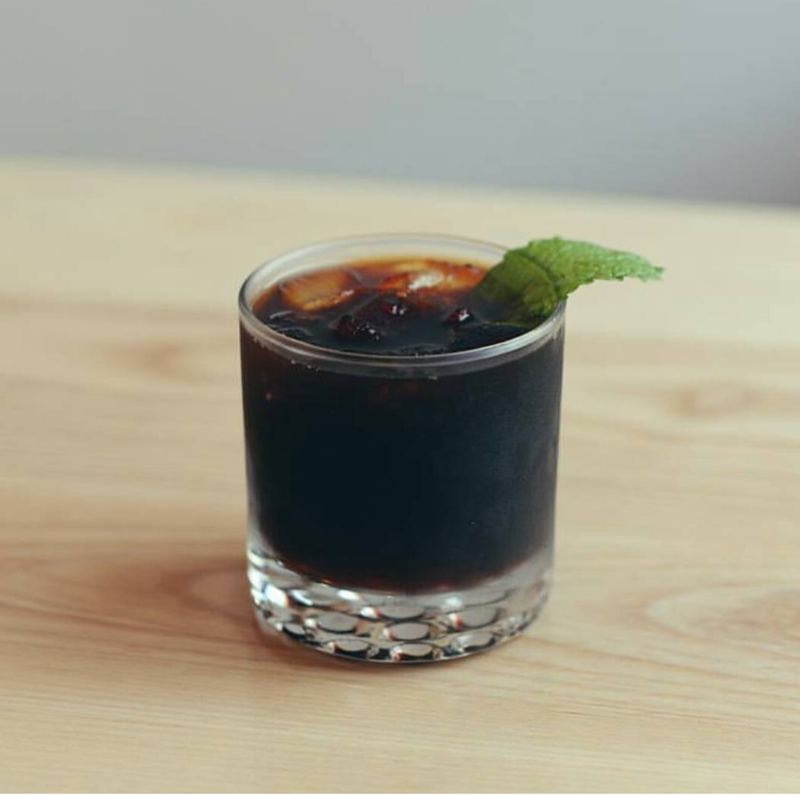 We recommend a cold brew made with a bright east African coffee, such as the Kenya El Derrumbe from Houndstooth Coffee. Sometimes you must abide to the sweet tooth. 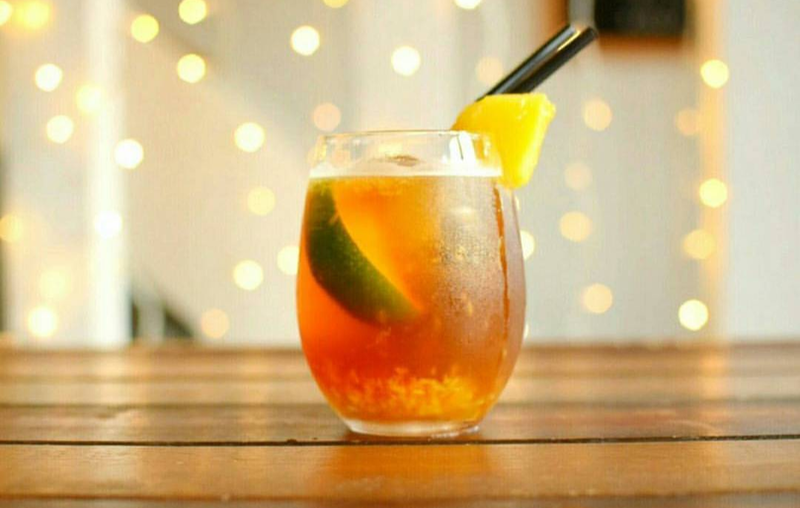 This cocktail features homemade cold brew coffee syrup, which is good in literally everything. 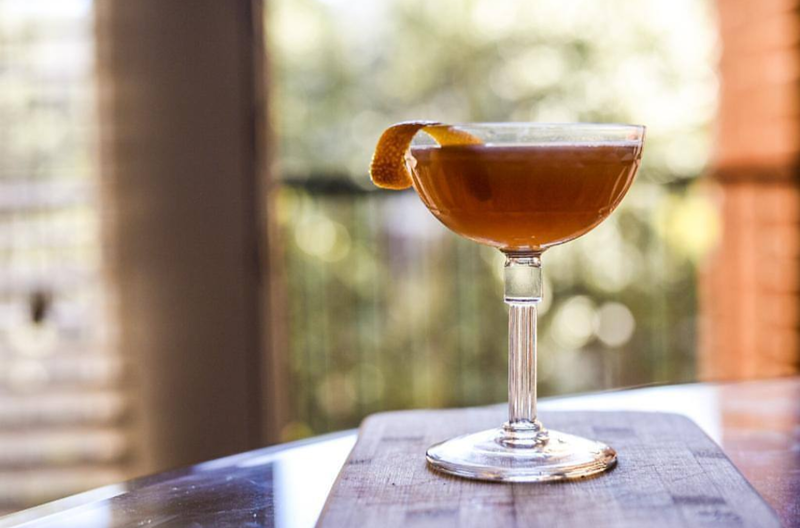 The Good Spirits cocktail turns heads from the moment it's poured. The pink coloration comes from dried hibiscus leaves that also give the drink a subtle cranberry taste. This drink features a unique ingredient that is currently only available in Virginia. 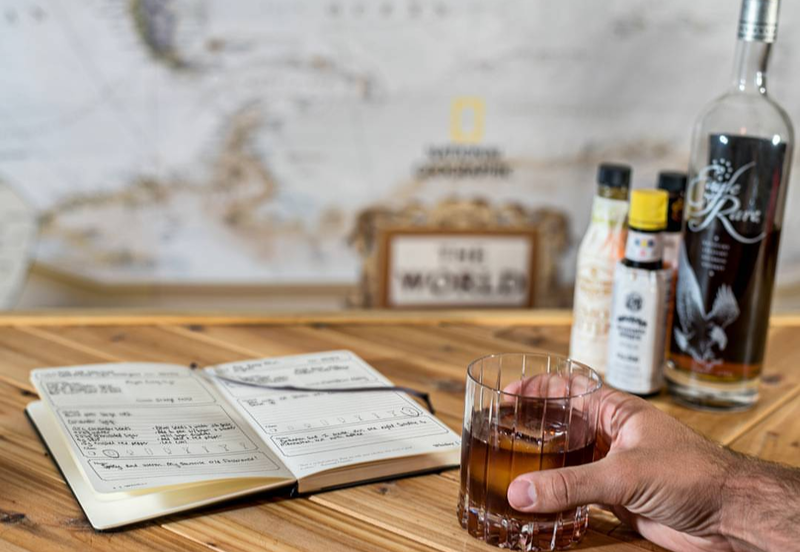 Belle Isle's Cold Brew Moonshine is a full 70 proof liquor that has the strong smell and flavor of coffee. It's a great secondary ingredient, but it can also carry a drink, like this one. 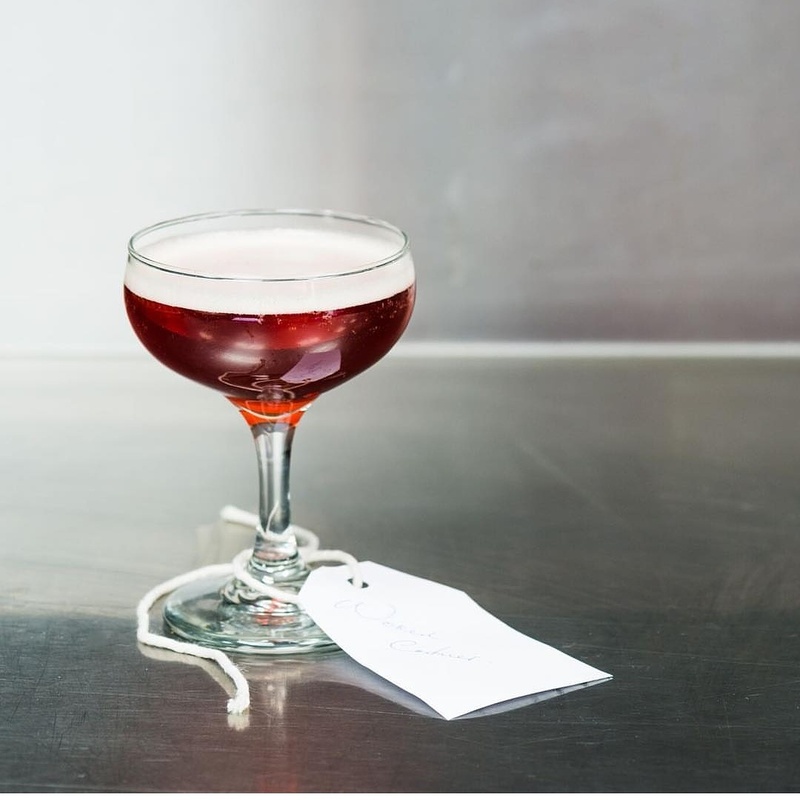 Dante in NYC was ranked one of the top 50 bars in the world this year, and it's because of unique drinks like this. 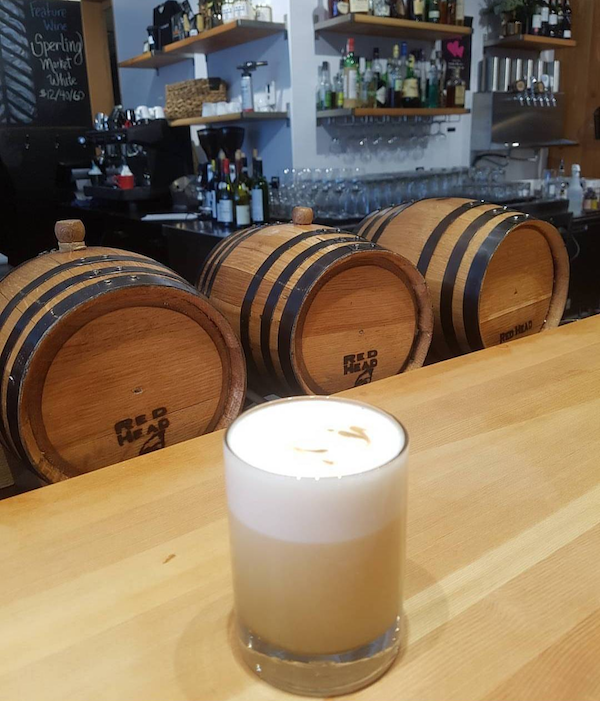 The Highland Sour combines two smokey liquors that are balanced out by fruit and egg white. In a shaker, combine all the ingredients. Fill with ice and shake for 15 seconds. Garnish with dash of Angostura bitters and a slice of strawberry. 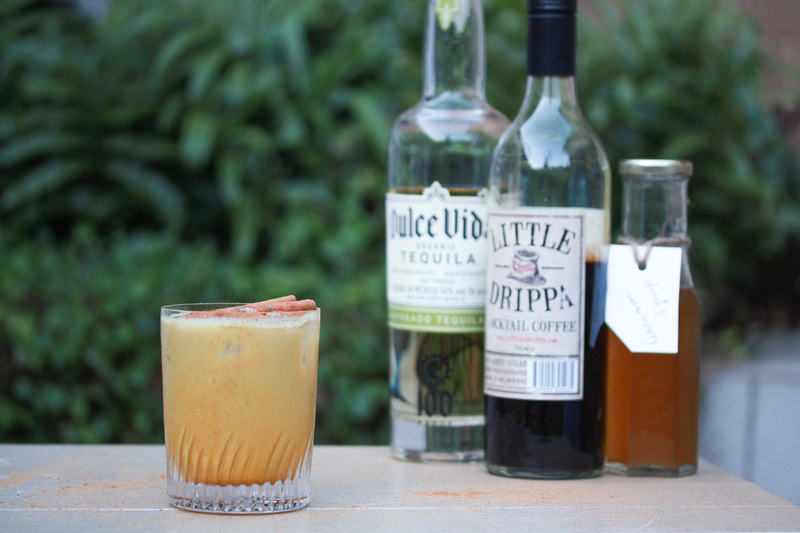 This cocktail features the distinctive taste of turmeric which balances really well with other powerful flavors like cinnamon, coffee, and ginger. It includes homemade cinnamon syrup. Remove from heat, cool and strain into glass jar for storage. 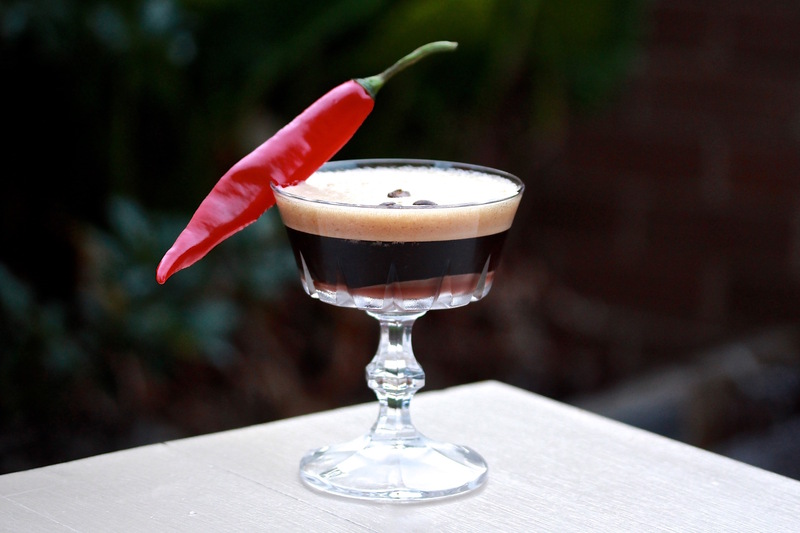 Naren Young of Dante NYC takes the espresso martini to a new level. We had to abide to The Dude on this one; White Russians are delicious. 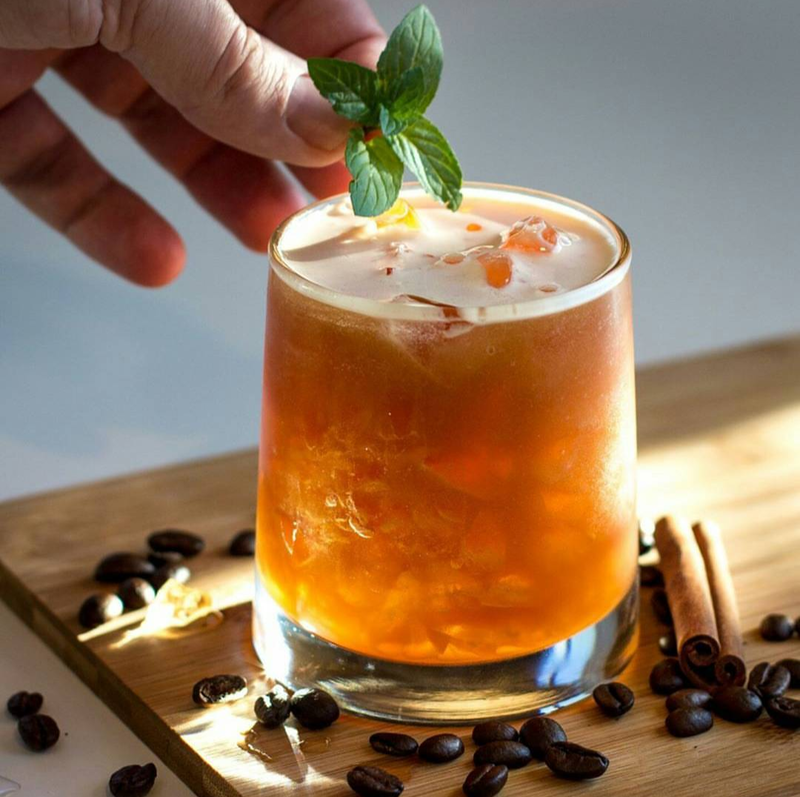 Jason Plummer takes this drink to another level with a cold brew ice cube and freshly grated cinnamon garnish. Whether you love or hate mochas, you can't deny the match made in heaven between coffee and chocolate. Let's just embrace it and drink this amazing espresso martini variation from Mel How of Melbourne Cocktails. Thou Mayest means "the way is open", or seeing your life as a vast, glowing, empty page, waiting to be written by you. 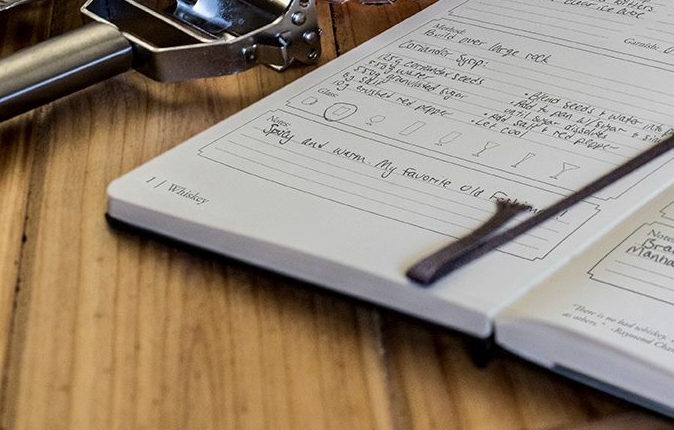 Get ready to write this recipe in an empty page of your cocktail recipe journal. This drink is amazing. 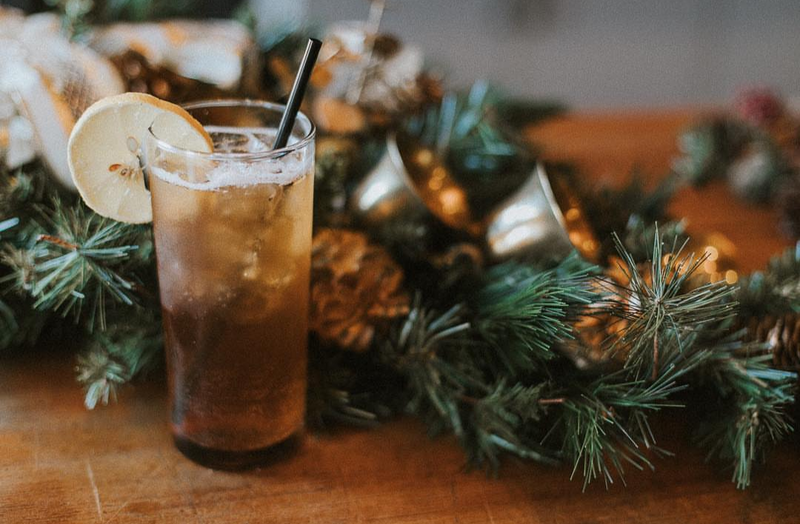 This drink is Corsair Distillery's Thanksgiving-inspired twist on a classic, featuring cold brew and two wildly unique whiskeys. However, we can confirm it is delicious any time of year. 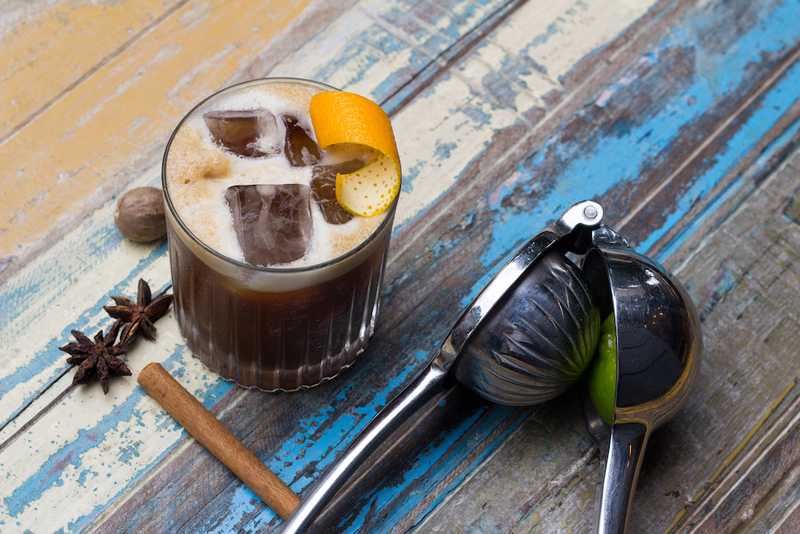 Outrage is one of Corsair's seasonal spirits made with malted oats and coffee malt. The Quinoa Whiskey is nutty and earthy from the South American quinoa. 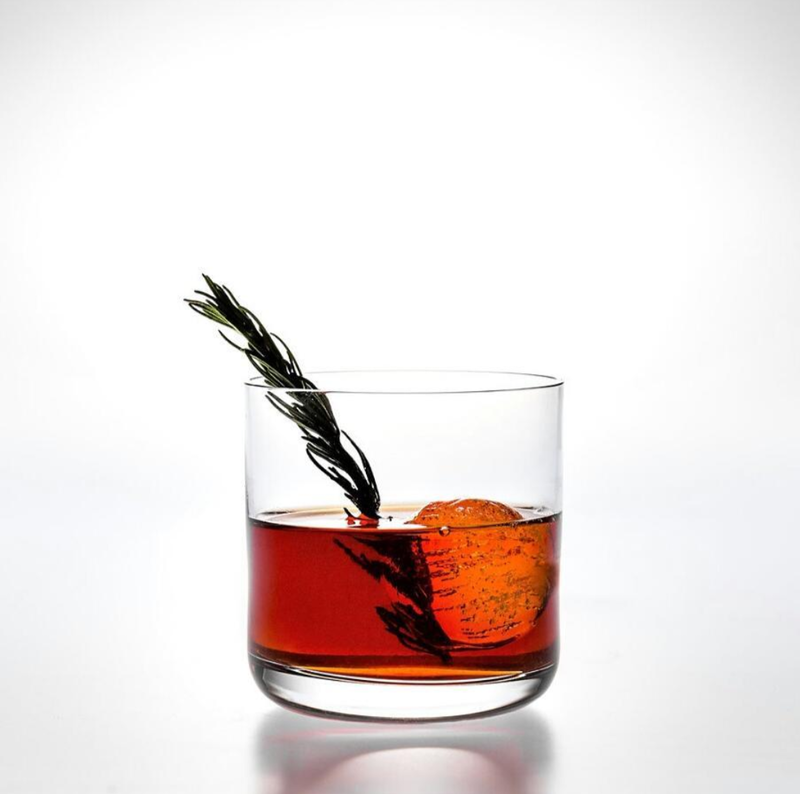 Here is another twist on the old fashioned, this time featuring chocolate bitters instead of just Angostura or Citrus. 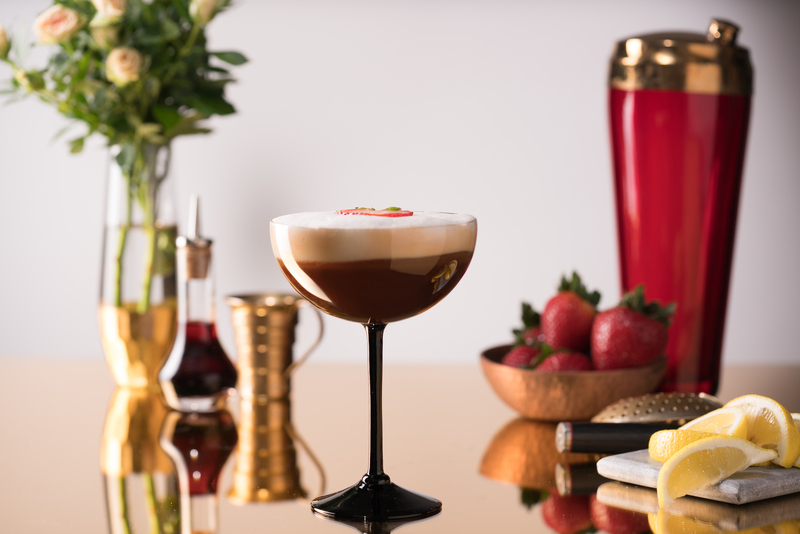 Kobrick has been roasting coffee since 1920, but they have recently created a line of incredible coffee cocktails. 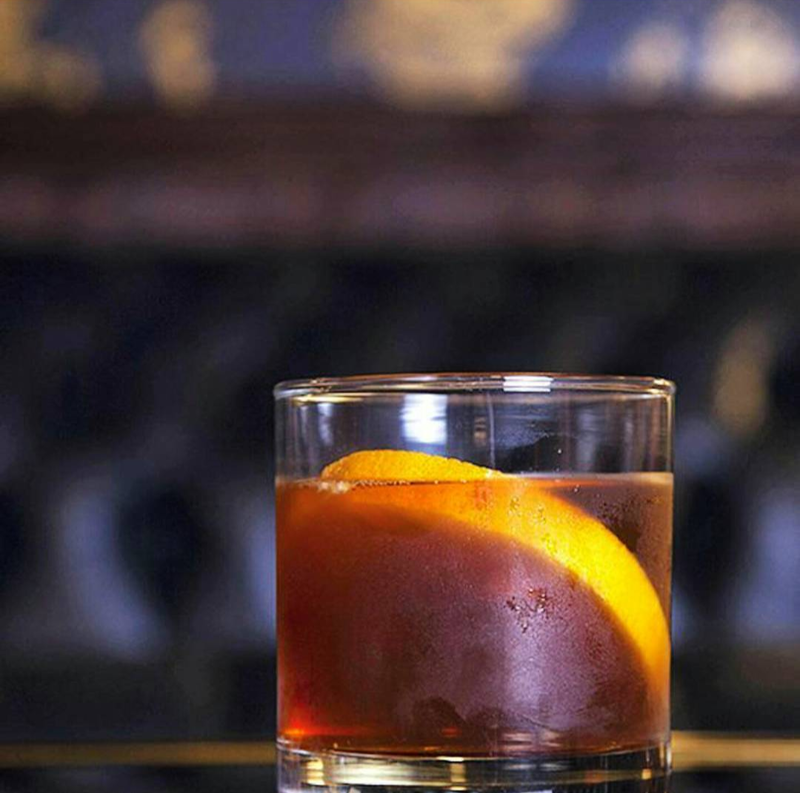 This one is a twist on an Old Fashioned. 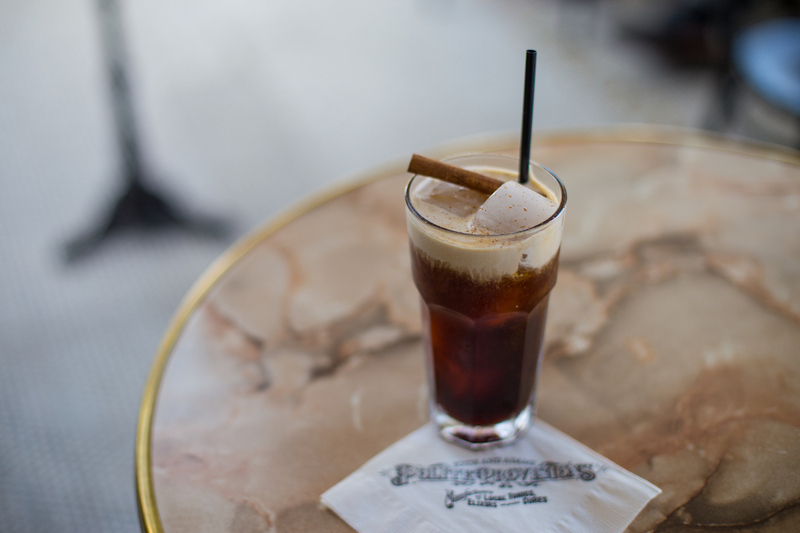 We have to give a nod to another classic coffee cocktail done to perfection. 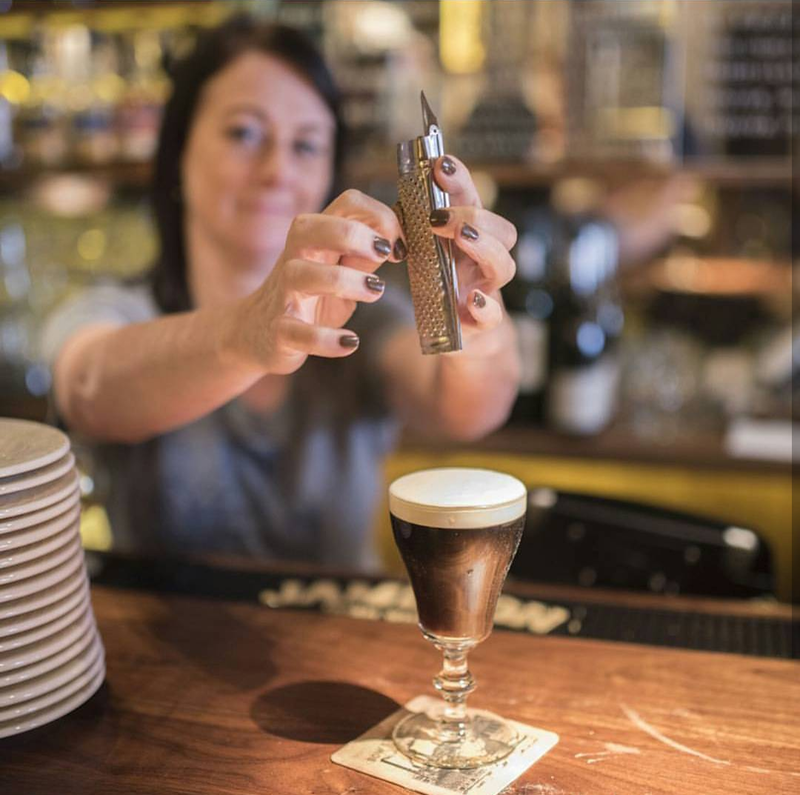 Dead Rabbit arguably serves the BEST Irish Coffee in the world, rivaling the original from Buena Vista Cafe in San Francisco. Grate fresh nutmeg to garnish. 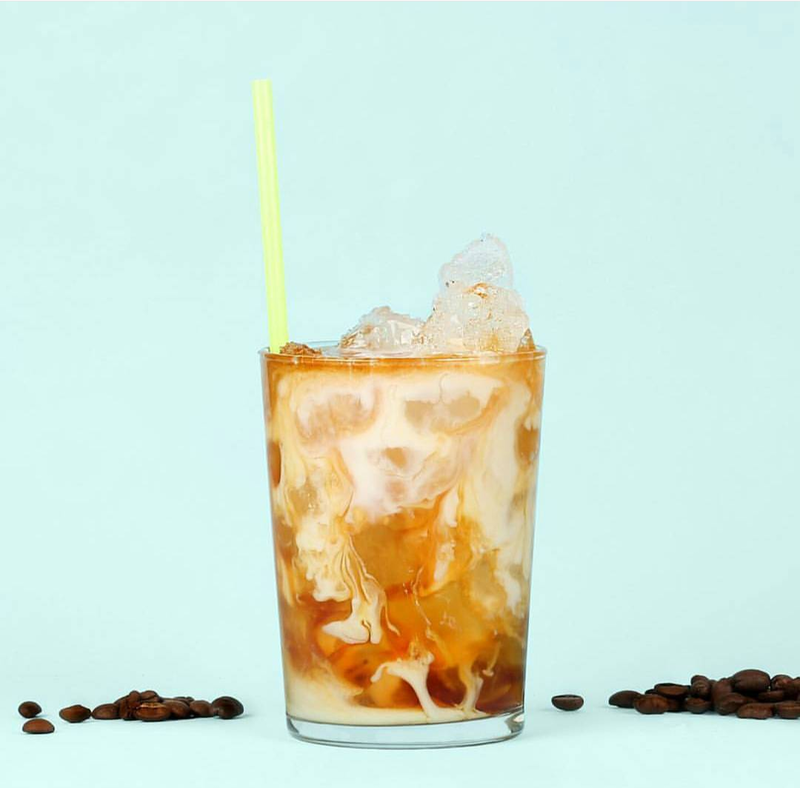 Served over iced and topped with heavy cream, the Dublin Iced Coffee is a brand new experience wrapped in a familiar package. 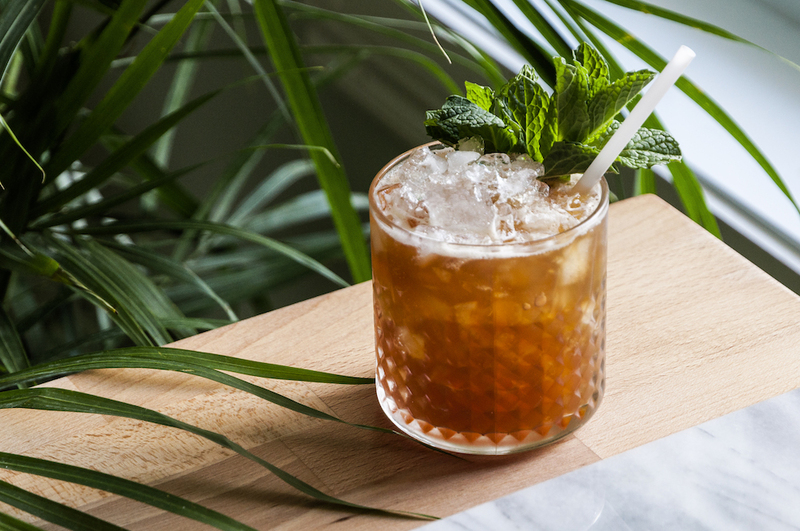 It's just one drink on an entire menu of innovative cocktails at Polite Provisions. 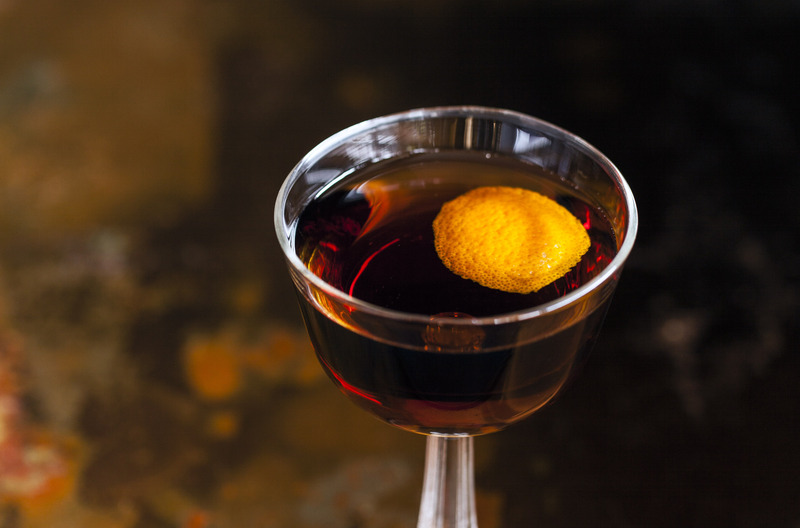 If you love Manhattans, then this drink is for you. Created by Jon Santer in San Francisco in the early 2000's, this is truly a "classic" coffee cocktail. Strain the cocktail into a chilled glass. 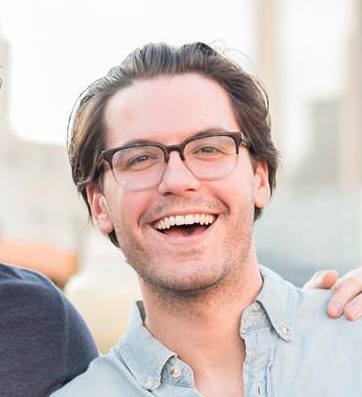 Chad Lawrence owns Venn Coffee, a Saskatoon-based coffee roaster. What's Cardamaro? It's a wine-based apertif similar to, but more delicate than, Cynar. This cocktail fuses a lot of interesting flavors together, including Garam Masala syrup. Combine sugar and water into a pot and stir, add garam masala mix and steep for 20 minutes stirring occasionally. Pisco is a clear liquor made from grapes, just like brandy. The difference is that brandy is aged in oak barrels, and Pisco is that is cannot be aged in wood at all. 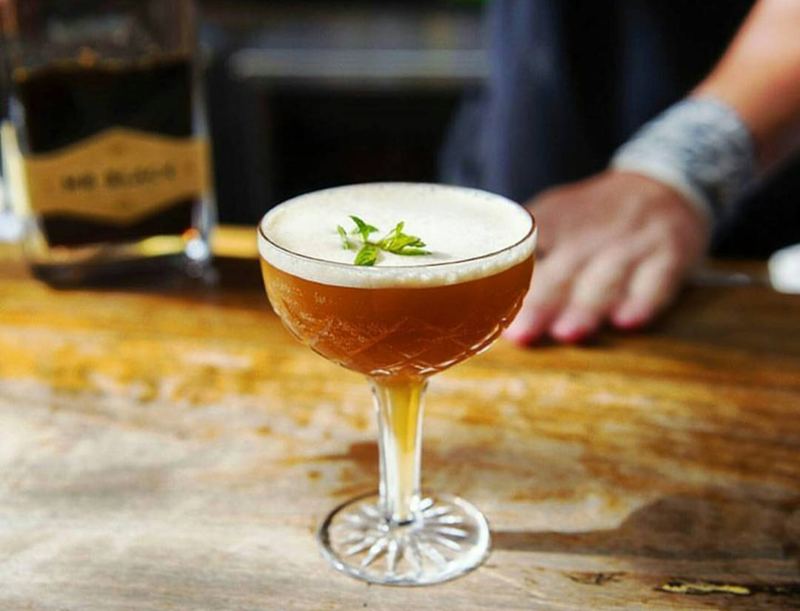 Mr. Black makes Pisco center-stage in this coffee cocktail, and also features cardamom-infused cold brew. 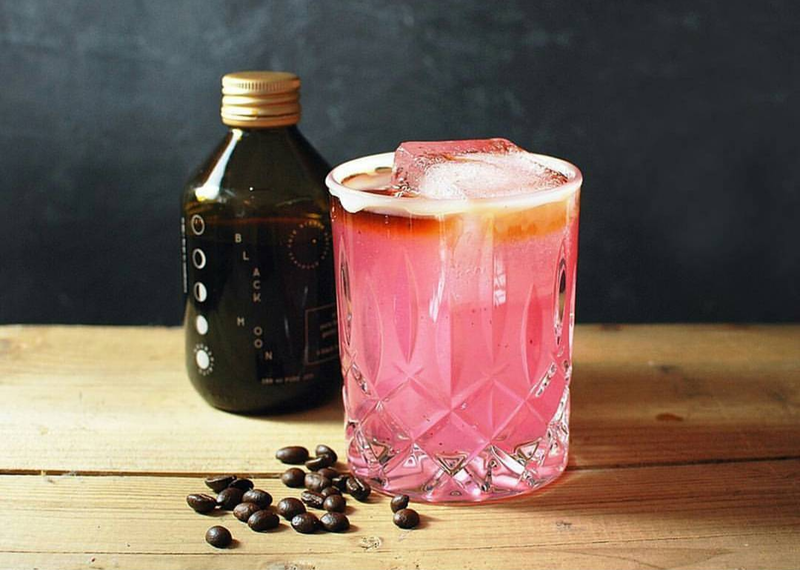 Happy Baristas created this drink for the Berlin Coffee Festival in 2016. It features deep, spicy flavors and a delicious twist of lime. 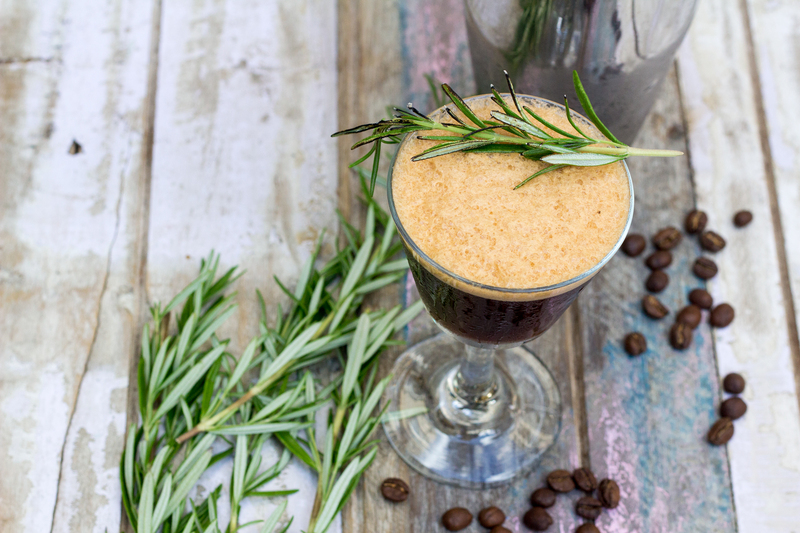 Wine and coffee lovers have known for a long time that their favorite beverages go well together. This drink from Tales of the Cocktail proves it. "Just Past First Crack" refers to the point in the coffee roasting process where beans are considered light roasted. This means you can taste the natural flavors of the coffee bean, not just the roast. 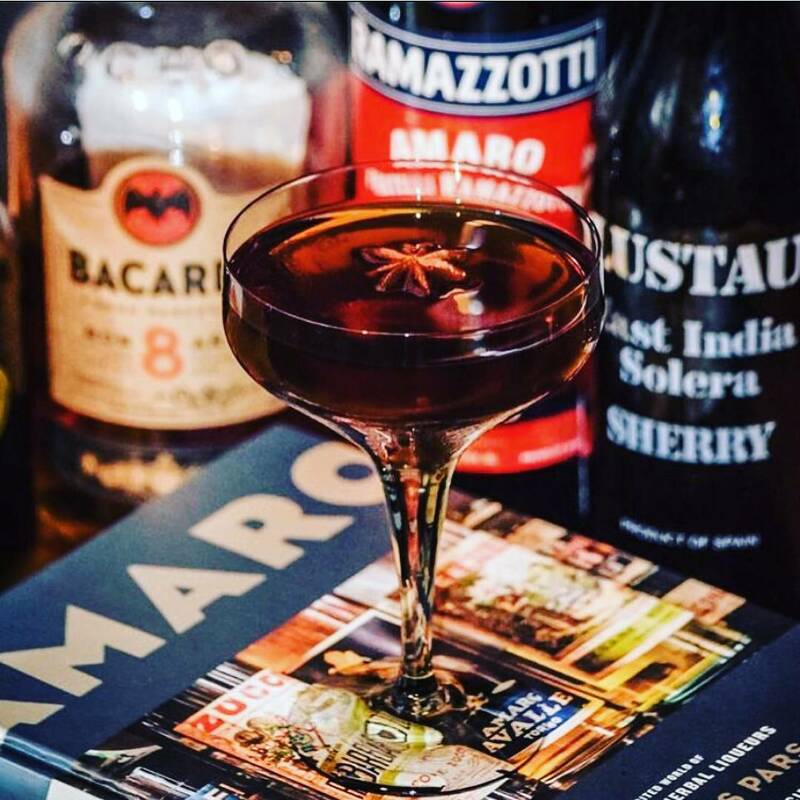 This cocktail features a tincture made with light-roasted Indian Monsooned Malabar coffee. Add 1 oz. ground coffee to 4 oz vodka. This drink comes from the coffee goods store Prima Coffee. 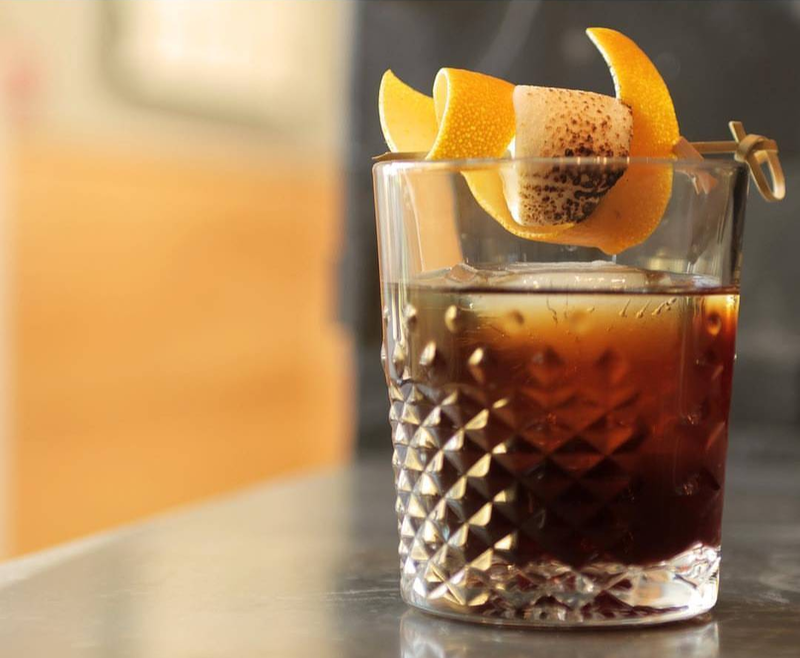 It features Averna, "an Italian amaro - a type of herbal liqueur that’s a little bitter, a little sweet, and very complex," according to owner Steve Rhinehart. 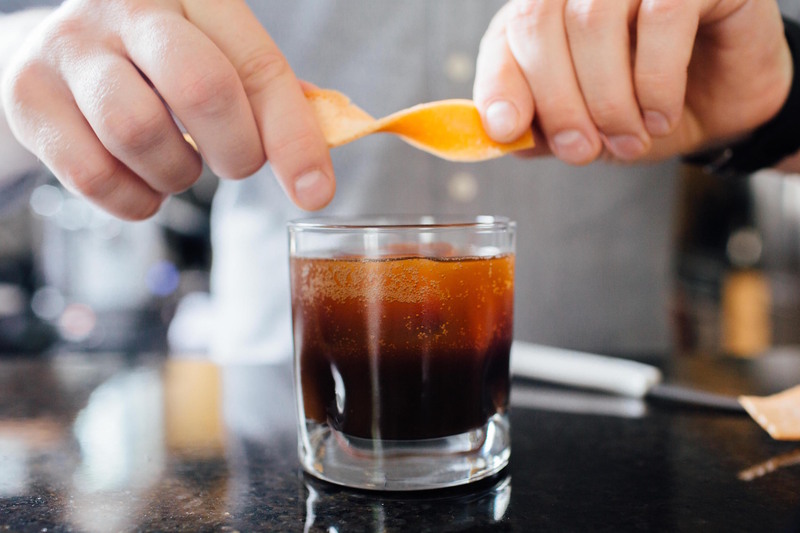 This is an espresso-shot sized cocktail that combines unlikely flavors. Apricot, rosemary, and espresso work wonderfully together. Add apricot syrup, double shot of espresso, and ice to cocktail shaker. Shake! We could drink this every day. The combination of coffee, lime, and mint is refreshing and awesome. 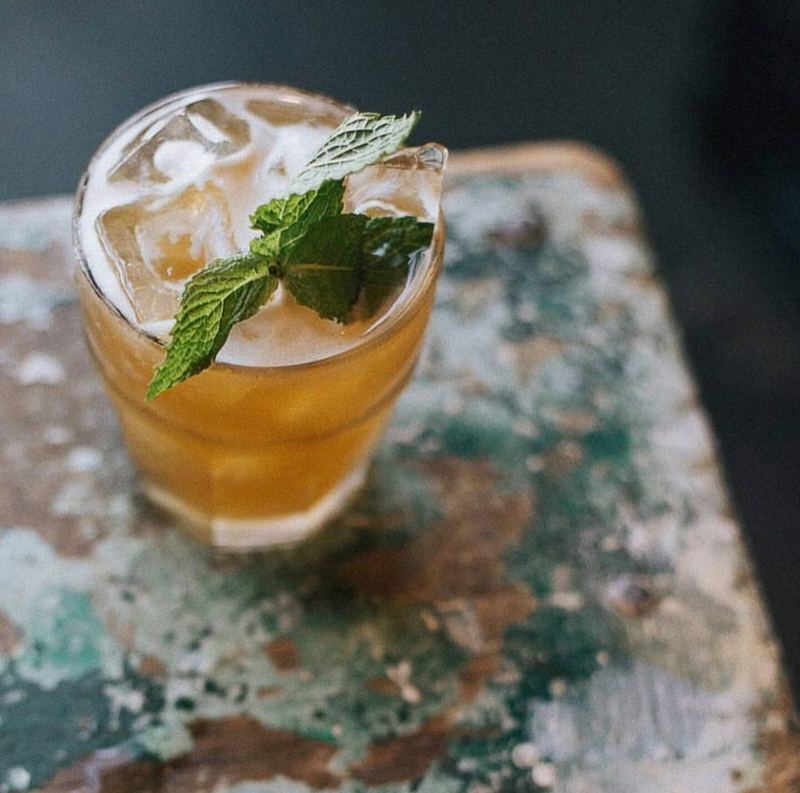 How do you make a non-alcoholic whiskey drink? Use whiskey syrup instead! 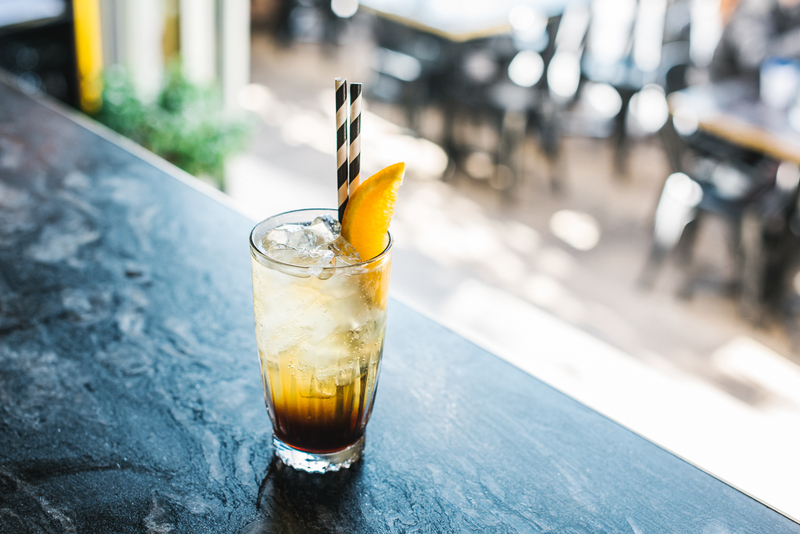 There are a lot of espresso & tonic drinks out there, so the Black and Tonic won’t be unfamiliar to you. But from the first sip, you’ll know there’s something different about it. Organic Black Cherry Juice gives the drink a dark, sweet twist. Just for fun, garnish with cherries rolled in pop-rocks candy! 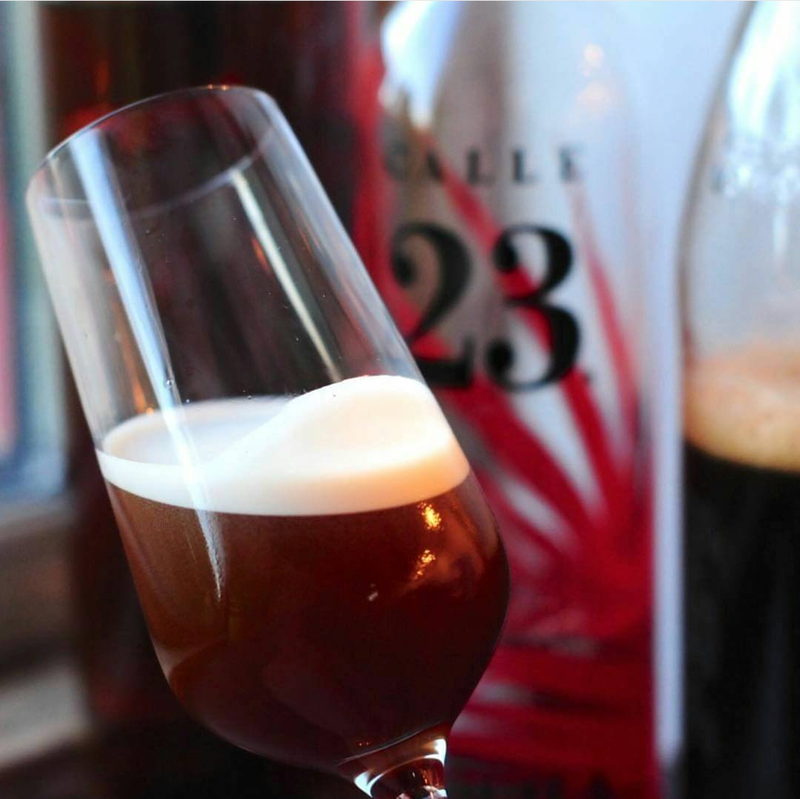 This is a delicious, non-alcoholic coffee cocktail that features Nitro cold brew, giving it a light, airy mouthfeel. "When I opened Five Watt, I created a drink that I called the Hendrick's, an attempt to make coffee taste like gin. I made a juniper syrup and used grapefruit bitters. The result was something incredibly delicious that...didn't really taste like gin. I worked with one of my partners to do a redesign that was truer to concept. Since opening Five Watt, we came out with a line of cocktail bitters: one being our Gin bitter. 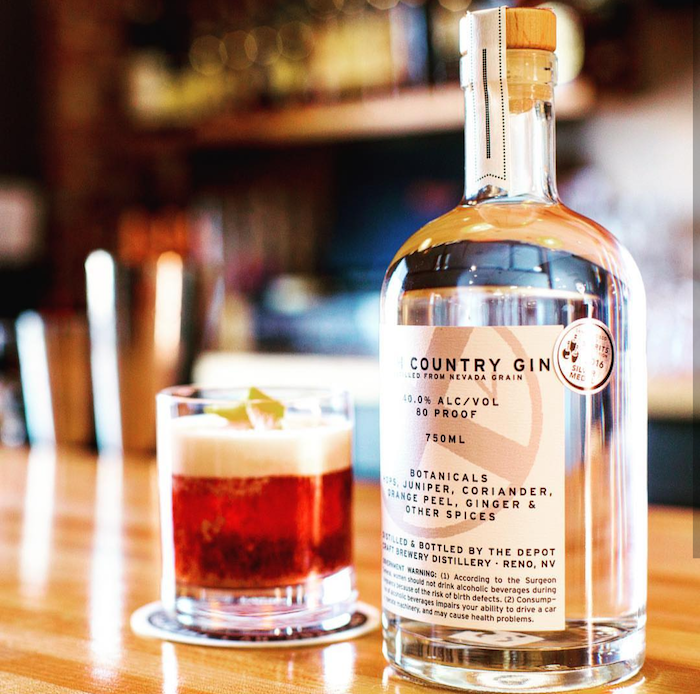 Using that and a juniper basil syrup, we landed on something MUCH truer to concept, and something that we thought tasted even better than the first iteration." 1L granulated sugar and 1L water by volume. 1/2 cup juniper berries, ground. 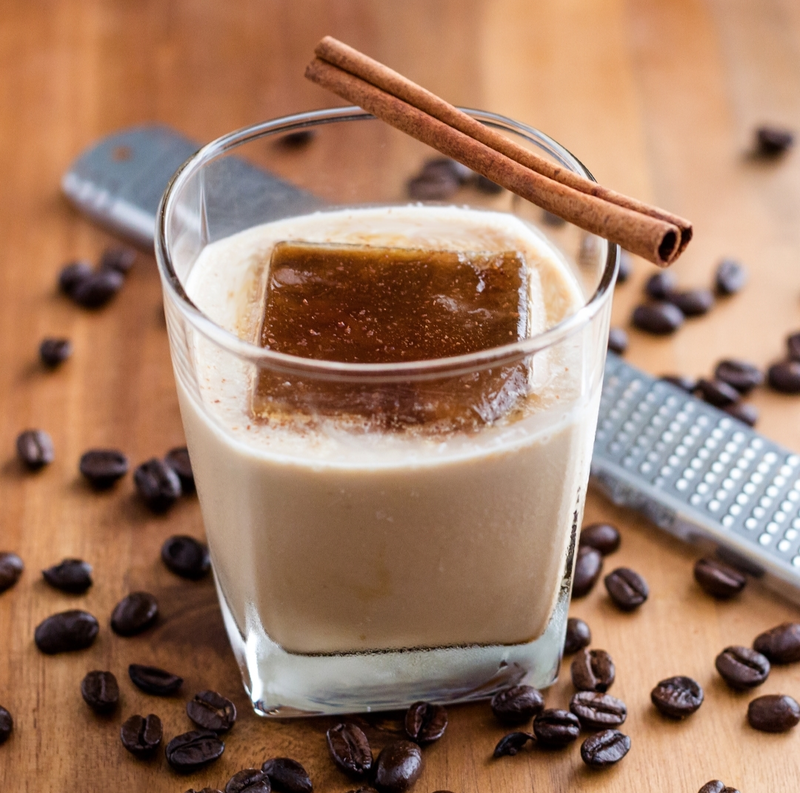 Share Your Favorite Coffee Cocktail Recipe with Us. 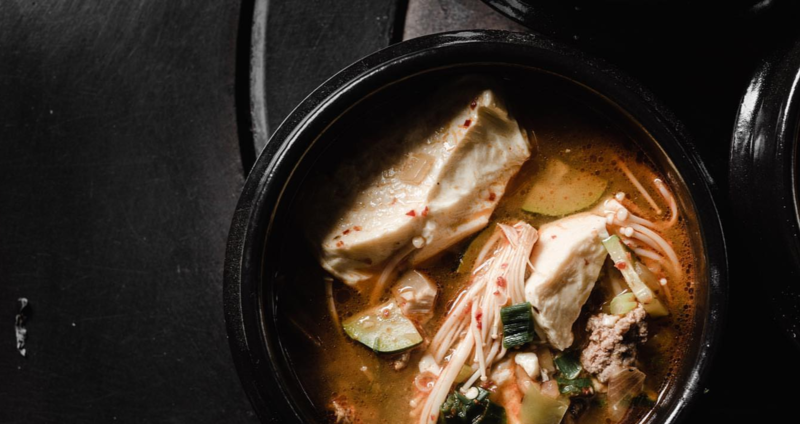 We are constantly updating and we’ll let you know if the recipe makes the list!